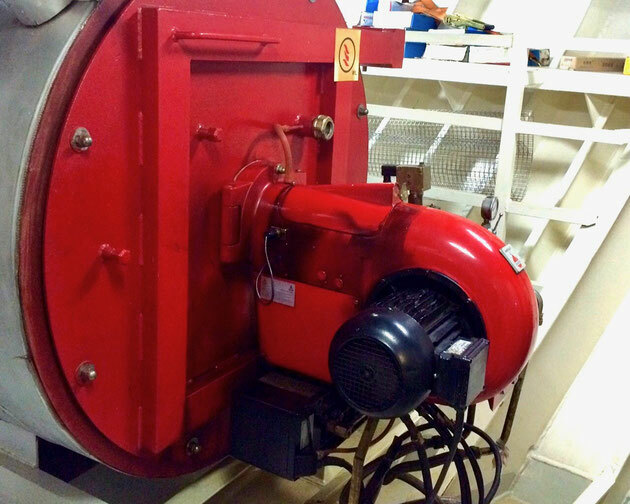 During this inspection, the service engineers found that the booster unit had to be modified and that the exciting controller had to be renewed. The old VAF Instruments viscosity controller was replaced by a new KFM viscosity controller. 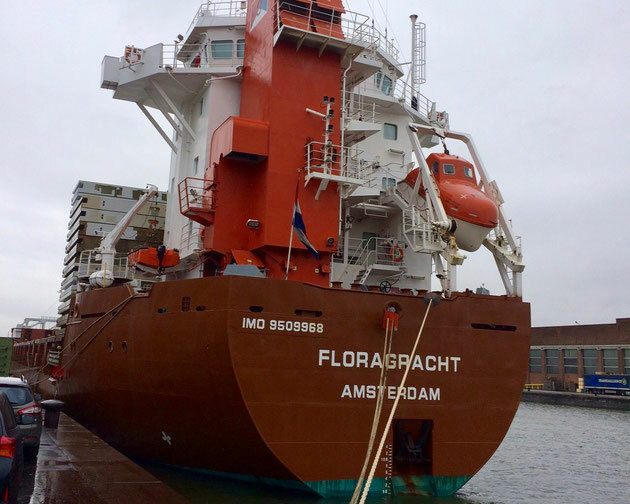 The cargo ship the "Floragracht". 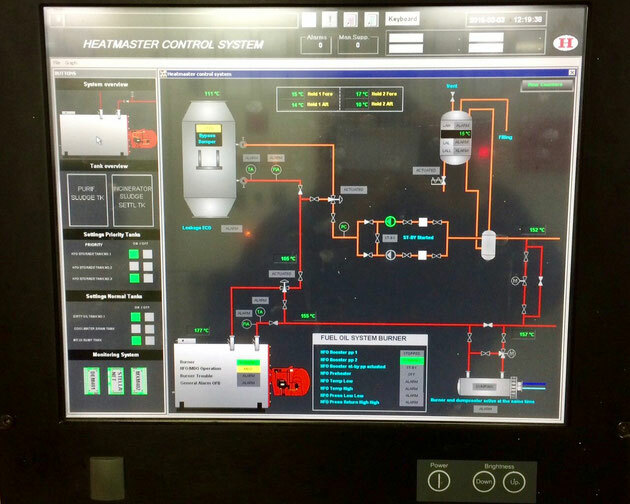 The HMI system that is used to control the thermal oil system. The burner motor of Gekakonus. 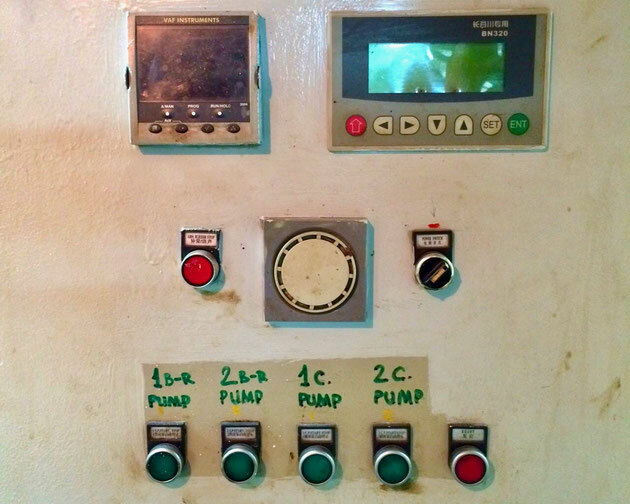 The front of the switch panel before maintenance, showing a VAF Instruments controller. 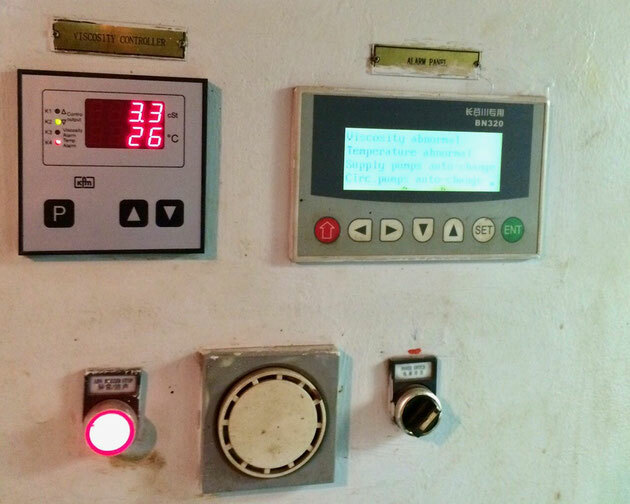 The repaired front of the switch panel with a KFM viscosity controller, a alarm panel and LED indicators.